Solar tube skylights are an excellent choice for homes with a small roof. This skylight consists of a small tube shaped pipe that has a diameter of about 10 to 15 inches. The top of the tube is covered with a spherical dome. This dome collects sunlight and transmits this light down the tube because the inside of the tube is made up of a silver mirror-like material. Solar tube skylights can illuminate a room evenly or highlight specific objects. Fixed skylights are the most common type of skylights. They do not open, and they look similar to a rectangular window. The frame of the skylight is made of steel, aluminum or timber. The frame is narrow because the glass area needs to be as large as possible to collect sunlight. Fixed skylights are often used to light up dark areas like the attic and stairwells. As a skylight and gutter installation expert, Tedrick’s Roofing installs fixed skylights that are weathertight and durable. Ventilating skylights open to allow fresh air into the home. This skylight is perfect for bathrooms and kitchens because it can keep the flow of fresh air into the building constant and because it helps remove excess moisture. 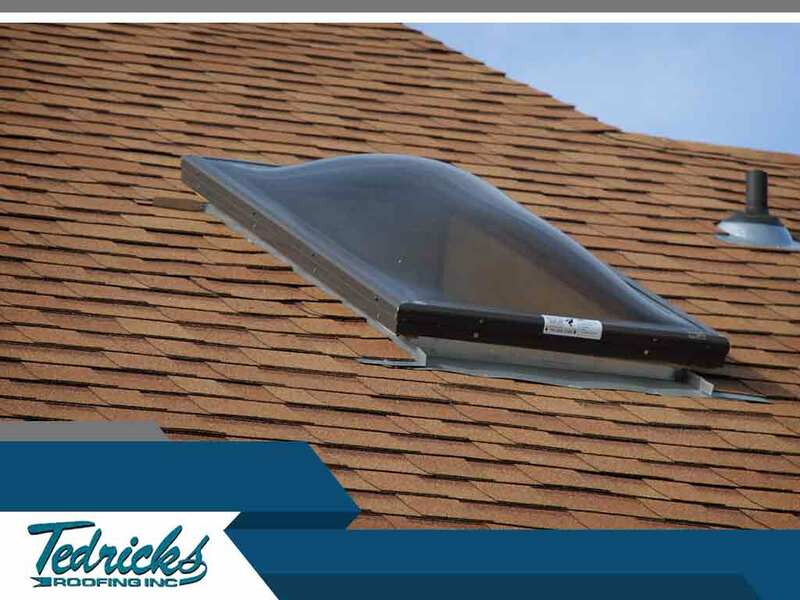 Ventilating skylights can be opened or closed manually or automatically. For example, some models close automatically once they detect rain. There are also skylight models that can be operated using a remote. Give us a call if you want to know which skylight type will work best for your particular home. Tedrick’s Roofing has helped thousands of local homeowners through the decades. We built our reputation on customer-focused service and on high-quality materials and craftsmanship. You can rely on us for your skylight installation. Call us at (877) 212-9355 or at (253) 499-9660 to learn more about our services and products or to ask for a free estimate. We serve homeowners in Seattle, WA, and nearby areas.